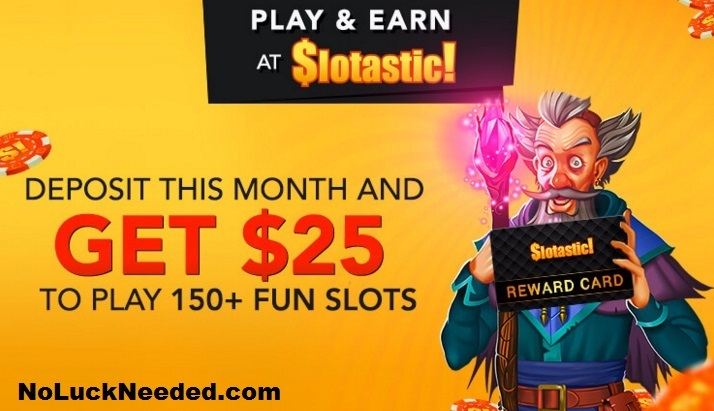 Make September your lucky month and play the hottest online slots and casino games at Slotastic Casino with free spins, freerolls, and free chips! Use the Slotastic no deposit bonus coupon codes listed below to claim your free chips and free spins this September and try to win some extra gambling money. New coupon codes will be added to the list as they are released throughout the month. You can also check your casino cashier's coupon section for special monthly promotions and bonuses. Please share your own Slotastic coupon codes below in the comment section. GOOD LUCK! 50X Wagering Requirement; $200 Maximum Cashout. Max bet rule applies. Standard bonus terms apply. Valid for September depositors; Spins Game: Scuba Fishing Slot; 60X Wagering Requirement; $180 Maximum Cashout. Standard bonus terms apply. Max bet rule. Do not use 2 free codes in a row. End Date: ? Game: Builder Beaver; 60X Wagering Requirement; probably $180 Maximum Cashout. Max bet rule applies. Standard bonus terms apply. Do not use two free codes in a row. Valid 3 September 2018 ONLY! Game: Cash Bandits 2; 60X Wagering Requirement; $180 Maximum Cashout. Max bet rule applies. Standard bonus terms apply. Do not use two free codes in a row. Valid 2 September 2018 ONLY! Claim your September 2018 Slotastic Casino Free Chips and Free Spins Today! Mzmelabella, Thanks so much and happy Father's Day!